FilmWhinge: DVD REVIEW: The Long Goodbye (1973) - Why is it One of the Greatest Films Ever Made? DVD REVIEW: The Long Goodbye (1973) - Why is it One of the Greatest Films Ever Made? Anyone familiar with the film will know that the typically convoluted Chandleresque plotting – already toned down in a book that is much more melancholy and bleak than usual – will get little attention in Altman’s film. Suffice it to say that Philip Marlowe (Elliot Gould) is engaged by his friend Terry Lennox (Jim Bouton) to drive him to Mexico. Marlowe does this and is immediately arrested for aiding and abetting a murder, as it seems Terry has murdered his wife. Marlowe is committed to clearing Lennox’s name and, by extension, his own, which leads him into contact with Roger and Eileen Wades (Nina van Pallandt and Sterling Hayden), neighbours of the Lennoxs’, and a crazed gangster Marty Augustine (Mark Rydell) who thinks Marlowe owes him money. The Long Goodbye was not a success on its first release, with many Chandler fans apparently outraged by what they saw as Altman’s contempt for the genre and for Chandler’s character and stories. Many complained that Gould portrayed Marlowe as a dimwit, a know-nothing chancer who blunders his way through the case before it gets wrapped up for him. However, this is not entirely fair, since the source novel – one of Chandler’s last completed Marlowe novels – portrays a Marlowe who is older, sadder and who takes longer than normal to solve a simpler case (it is by far the longest Marlowe novel). Indeed, Altman’s film is much more faithful than most other Chandler adaptations, if not in plot particularly then at least in terms of tone. The novel of ‘The Big Sleep’, for instance, is not nearly as happy go lucky as Howard Hawks’ celebrated film. As a brief side note, the novel ‘The Long Goodbye’ might just be Chandler’s best too. If ‘The Big Sleep’ represents a stylistic perfection, the epitome of the hard-boiled crime story or at least Chandler’s take on it, then ‘The Long Goodbye’ represents a bold and fascinating experimentalism. ‘The Long Goodbye’ is long and wandering and far from flawless, but it does suggest a master of the form trying to innovate, trying out new themes and styles, making ‘The Long Goodbye’ a fascinating blend of risks that fail and risks that pay off. Whether stylistic perfection or stylistic experimentation is ultimately preferable ought to be the subject of another article, but, as far as ‘The Long Goodbye’ goes, who better to adapt it than the master of uneven, purposefully slapdash and experimental cinema, Robert Altman. Altman’s film is a crime film – of course it is, and it is full of character and confrontations and incidents. However, these scenes are injected with a nervous energy and an unpredictable reality and they often don’t make a whole lot of sense, reflecting reality, which hardly follows a carefully planned narrative line. By bringing melancholy and disillusionment to his novel, Chandler was trying to bring more realism to his stories than he had before. 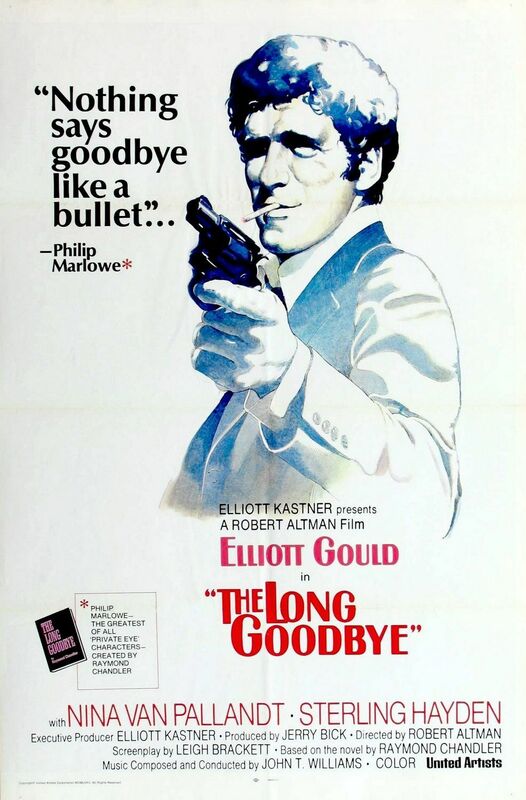 Altman takes this melancholy and adds a vague, loose and inconclusive narrative, imbuing The Long Goodbye with much more realism than would be expected from a Marlowe story. Think of the opening credits sequence, which is not the beginning of a crime film at all, wherein Marlowe bums around his flat trying to feed his cat (clearly put out by it but it is obviously the only constant friend he’s got so he lets it bother him). He goes out to the store to buy some cat food and Altman intercuts between Marlowe driving through LA at night and Lennox driving around. Neither seem to know particularly what they are doing and neither seems to be going anywhere in particular. Coupled with an incredibly adaptable John Williams score, it manages to be extremely sad. This opening represents perfectly that Marlowe is not a bungler, that he is a lonely man cast adrift in an unwelcoming world that is as meaningless as it is corrupt. Marlowe’s defence mechanism for all of this is the catchphrase “It’s alright with me”, which he says whenever something throws him or confuses him. This stoicism is rarely lifted, but every now and then something truly awful happens that forces Marlowe to try. His other defence mechanism is the wit that Chandler’s Marlowe had. Chandler’s Marlowe always knew how to get out of a tight scrap and he always had a good one-liner for any situation. Altman’s Marlowe tries to be witty but is often ignored or interrupted. Too often we see Marlowe trapped and unable to escape and all that is left for him to do is go nuts. Twice in the film (at least) he is so angry that he is almost speechless. Following his stay in prison and immediately following Roger Wade’s suicide – here in particular – he can barely string sentences together. In keeping with his old-fashioned stoicism and sense of humour, the only guy that Marlowe seems to immediately understand is the Wade’s odd gatekeeper (Ken Sansom) who only allows people through if they can name the golden age Hollywood star that he is imitating. Marlowe’s other friend, Lennox, is the only other character able to play along with this gatekeeper. Equally old-fashioned, Marlowe has a sense of morality, one that is ultimately a danger to him as he is susceptible to the plots and tricks of the people that he likes. The reason he cannot see the truth about Terry Lennox and Eileen Wade despite so much evidence is, ultimately, because he trusts them. He believes in them, just like he believes in morals and, as Altman makes clear, in 1970s LA morals are almost a character flaw. The only characters who seem to have any control are those who have left any kind of morality behind – Augustine smashes a Coke bottle on his girlfriend’s face (Jo Ann Brody) despite being in love with her to make a point and Dr. Verringer (Henry Gibson) is almost supernatural in his ability to get people to do what he wants. Verringer slaps a wild and angry Roger Wade in the face and somehow calms him down. Both Augustine and Verringer’s victims wander through the rest of the film like ghosts, the facial violence seemingly removing their last vestige of humanity. In other words, they give up trying to take something good out of the world. Like all of Verringer’s patients in his clinic, they are no longer there. Terry Lennox becomes immoral, which is why Altman focuses on him during that melancholic opening. Driving away from home, where his wife lies dead (beaten to death – one cop tells Marlowe to look at what Terry did to her face), shaky and frightened, Terry symbolically puts on his driving gloves to cover up the scars on his fists and, with that, covering up his humanity. Starting and ending with the tune ‘Hooray for Hollywood’ by Johnnie Davis (the only music that isn’t a variation on William’s score), The Long Goodbye does not represent Altman’s contempt for a genre. It merely recognises that Hollywood is an escape, an unreality, and one that may be a danger if used as a way of life. Hence, Marlowe’s wit fails and his naiveté (read his faith in other people) puts him through all manner of unpleasantness. Indeed, Minnie’s exasperation with Hollywood (“They set you up to believe in everything”) in Cassavetes’ Minnie and Moskowitz could be Marlowe’s own. All of this and I haven’t even mentioned Altman’s directing, his use of non-professional actors, his use of improvisation, his sound mixing and editing. The Long Goodbye is great for all of the reasons above, but it is the Robert Altman touches that make it endlessly rewatchable and, for me, one of the greatest films ever made. In the book, the alcoholic Roger Wade was Chandler’s self-portrait, one of the experiments that paid dividends since it gave the book’s melancholia a personal touch. Sterling Hayden was an alcoholic and was apparently wracked by guilt for naming names before HUAC in the 1950s. In the film, Altman allows Hayden to give full vent to his own demons, allowing for an incredible performance full of pain and truth as well as a sense of humour. Altman keeps the camera distant. All the actors are miked up and the camera gets close by zooms alone and the sound is mixed (brilliantly) later. As a result, the actors had total freedom to walk and talk. Hayden inhabits his house, smashing around the set and talking gibberish without a concern for blocking and the camera and the sound, making it all feel so spontaneous and out of control and real. Like Cassavetes, Altman manages to capture the chaos and unpredictability of everyday real life, making his films full of incident and observation. The improvisation only adds more insight as each actor brings more perspective to their characters than a single writer can. 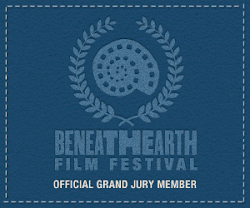 In other words, the film is alive. *The others for the record, are MASH, California Split, Nashville, Buffalo Bill and the Indians, or Sitting Bull’s History Lesson and A Wedding.